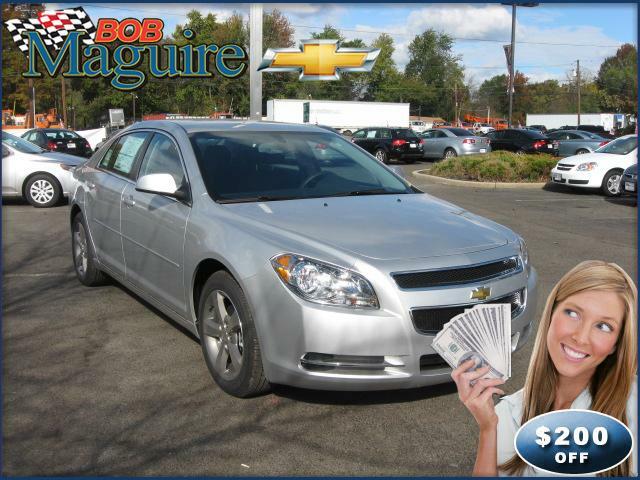 There are just a few short weeks left in the Model Year End Wrap Up Event and the savings on the 2011 Chevy Malibu will not last long! 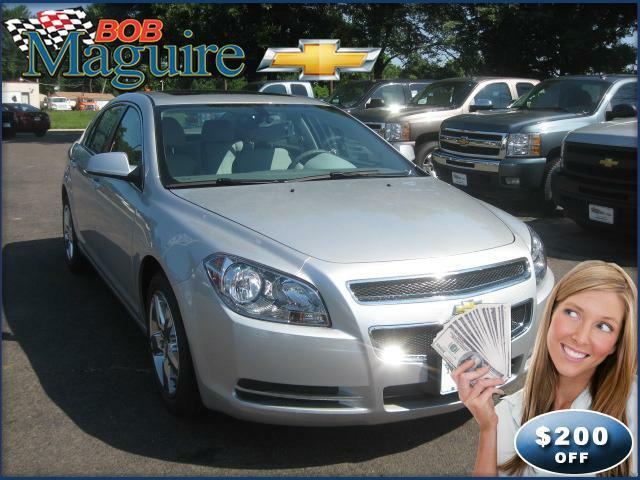 Bob Maguire Chevrolet in Bordentown, NJ is offering HUGE savings on the 2011 model year of the Chevy Malibu. 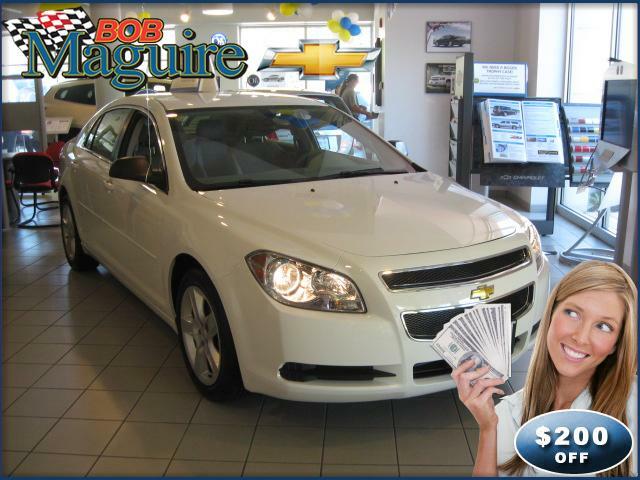 You can save over $4,500 in rebates and discounts, plus you can buy a brand new Malibu for as little as $21,000!Hurry to Bob Maguire Chevrolet in Burlington county, NJ today for the best deals in town. 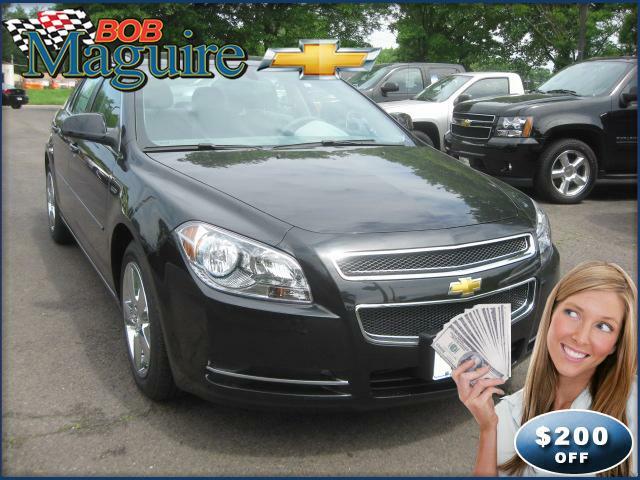 Chevrolet’s 2011 Malibu has established itself as stylish, comfortable, safe and reliable transportation for a family concerned about low initial cost and low running costs. With plenty of standard convenience and safety features, crisp handling and an array of powertrain options from fuel-sipping to pedal-mashing, the Malibu puts plenty of excitement into the Chevrolet lineup. The 2011 Chevrolet Malibu comes in three different trim levels–LS, LT and LTZ. A 169-hp, 2.4L 4-cylinder engine is standard for all models. It is Flex Fuel-capable, and can run on an E85 ethanol/gasoline blend. A 252-hp, 3.6L V6 with variable valve timing is optional on the LT and LTZ trims. A 6-speed automatic is now standard on all trims. With the 4-cylinder engine, the Malibu achieves respectable fuel-efficiency ratings of 22 mpg city, 33 mpg highway. Inside and out, the Malibu’s lines are modern and attractive, with great attention to detail. The flowing instrument panel forms a “dual cockpit” design. LTZ models get front fog lamps and attention-getting LED rear lamps. With its 4-wheel independent suspension and either 17- or 18-inch wheels, the Malibu offers a smooth ride and sporty handling response, due to a standard rear stabilizer bar. Four-cylinder models have electric variable-assist power steering, while V6 models have hydraulic power steering. Interiors in LS and LT Malibus are cloth, while the LTZ offers standard leather seating. Gauges are displayed with distinctive blue backlighting. Available ambient lighting backlights the center console and door pulls, and the overhead console in LTZ models bathes the center console area with LED light. All Malibu models, including the base LS, come quite well equipped, with cruise control, remote keyless entry, a tilt/telescoping steering wheel and an MP3-compatible CD audio system. Top LTZ models include heated front seats, steering-wheel-mounted audio controls, a 6-CD stereo and a remote starter system. XM satellite radio is available on all Malibus. A power sunroof is optional across the range and the upgraded stereo is optional on LS and LT models. Front passenger airbags, head-curtain side airbags covering front and rear outboard seats, and seat-mounted thorax-protecting air bags are standard for all models. Additionally StabiliTrak electronic stability control is standard across the Malibu range, and it incorporates brake assist and traction control. GM’s OnStar system is standard on all Malibu models.